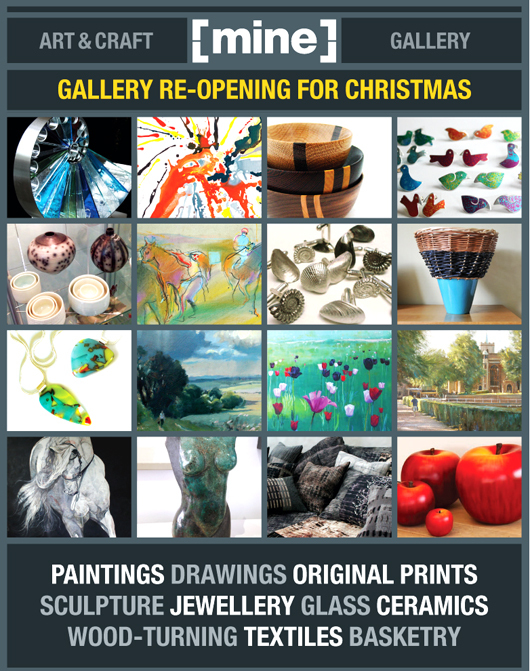 We are delighted to be re-opening the gallery to host our ever-popular, annual winter exhibition featuring over 60 extremely talented and predominantly local artists, sculptors, craftsmen and women and designer-makers. John Stillman has selected some of his most popular paintings of local scenes to be produced as a very limited (75) edition of fine art prints. The prints are available in the gallery to view and order in time for Christmas (up to 10 December). Support your local artists, crafters and designers by making your way to [mine] this Christmas to discover a wealth of affordable, unique and inspiring work. We cater for a very wide range of budgets with plenty of stocking-filler options. There is a Pay and Display car park with 90 spaces available directly opposite the gallery on the north side of Carshalton high street. Carshalton High Street forms part of the A232 between Sutton and Wallington and next to the historic Carshalton ponds and All Saints Church, Honeywood Museum and The Greyhound. Please sign up via the 'friends of mine' page on this site or simply contact Andrew on 020 8647 1800 if you wish to join the gallery mailing list to receive up to date information on our exhibitions and artists.